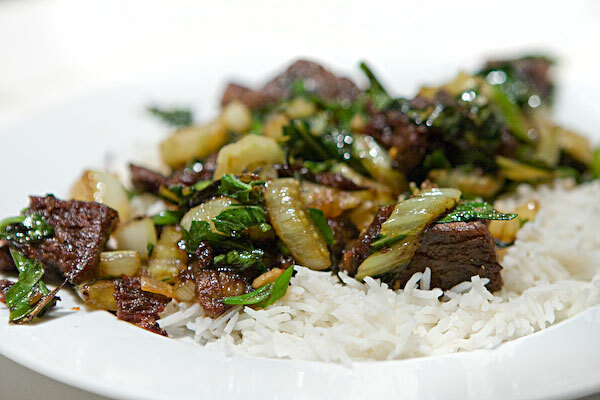 Braised Beef Short Rib, Bok Choi, Scallions and Basil in Sweet Chili Sauce. 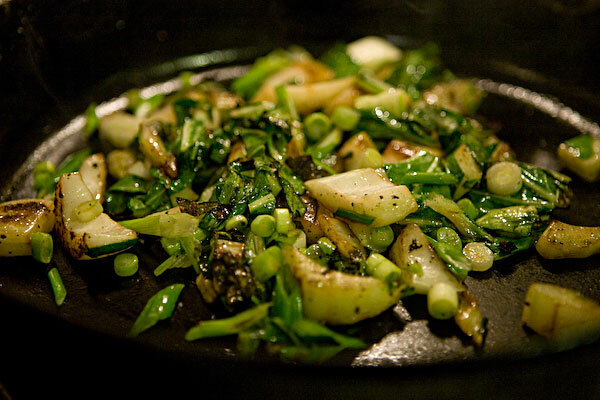 Stir Fry works in cast iron, just keep the veg hopping. Add sauce and let evaporate down to a coating. Sauce = Fish Sauce, Vinegar, Palm Sugar, Chili Flakes, Water, Shallots and Garlic. Cook for five minutes, blend till smooth.